Patients were not eligible for inclusion in the cohort if they had any concurrent medical condition or personal situation that rendered the patient unable to provide informed consent or participate in the HR/CSC. Enrollment ended on August 31st, 2016. At the time of patient appointment scheduling, initial physician referral and demographic information was collected and entered into the North Carolina Cancer Hospital (NCCH) electronic scheduling system. These data are made available to the HR/CSC for determination of eligibility. Eligible patients were approached for enrollment during their visit to the NCCH. [ A detailed HR/CSC Recruitment and Enrollment Protocol is available upon request by contacting HR/CSC cscresearchers@med.unc.edu. ]. All participants provide informed consent in either English or Spanish prior to participation. Eligible patients typically watch a video on informed-consent that describes participation in the HR/CSC and informed consent and HIPAA documents. Research Assistants (RAs) discuss the consent video with patients and answer questions. Patients that would like to participate in the UNC Health Registry/Cancer Survivorship Cohort (HR/CSC) signed Informed Consent and HIPAA Documents electronically. To view the UNC HR/CSC Consent document, click here. To view the HIPAA document, click here. The signed forms were stored securely in HR/CSC records and paper copies of the informed consent and HIPAA documents were given to the participants. In some clinic situations, using the video consent was not always feasible and in these situations the informed consent process was done by the Research Assistants by reviewing the paper consent documents with patients. Interview questionnaires - Interviews were conducted of all HR/CSC participants within a couple of weeks after enrollment. The Baseline Interview included a general questionnaire that was asked across all cancer types and a cancer-specific questionnaire. Medical records – Medical records data for HR/CSC participant included clinical information abstracted by the UNC Tumor Registry and supplemental data abstracted by HR/CSC staff. Blood collection and banking - HR/CSC participants had blood samples drawn and the sample processed by the Biospecimen Processing Facility (BS) to serum, plasma and DNA. The serum, plasma and DNA are banked for future research. Tissue procurement and banking - Leftover tumor tissue samples taken at the time of surgery were snap frozen, paraffin embedded and banked for future research by the Tissue Procurement Facility (TPF). Other clinical biospecimens - Any biospecimen collected as part of routine health care for a HR/CSC participant may have been banked and used for future research. 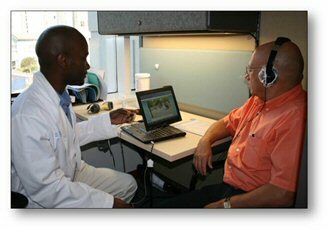 Annual follow-up - HR/CSC participants agreed to annual follow-up contact for interviews and medical records abstraction. Recontact - HR/CSC participants agreed to allow HR/CSC staff to contact them about participation in future studies. To view the participant enrollment graph, click here. Cumulative number of HR/CSC participants enrolled by year since HR/CSC enrollment began in 2010. Summary demographics include race and age for enrolled participants. To view the demographics of enrolled participants, click here.